Undoubtedly, one of the biggest surprises of this year is the retail industry. Specifically, iconic department stores like Macy’s (NYSE:M) have proven doubters wrong in the best possible way: making them rue the opportunity cost of not joining the fun. Just prior to its second-quarter fiscal 2019 earnings report, M stock was up nearly 66% year-to-date. Even better for industry contrarians, the outstanding bullishness doesn’t just boost M stock. Macy’s rival Nordstrom (NYSE:JWN) is up 14% YTD. Luxury department store Dillards (NYSE:DDS) gained a robust 54% since the January opener. The only exception to the optimism is JCPenney (NYSE:JCP), which is down nearly 19% YTD. Still, for the month, JCP increased nearly 8%. Why is this such a big deal? Analysts have long slammed the brick-and-mortar retail industry, particularly the big department stores and major shopping centers. I’m no exception. Previously, I warned against physical retail-centric companies due to poor foot-traffic and struggling margins. The other impediment that bearish analysts cite is e-commerce. Thanks to Amazon’s (NASDAQ:AMZN) incomparable conveniences, shoppers can get their fix, receive a great deal and never leave home. On those rarer days when they venture out, they can use the brick-and-mortars as a personal showroom floor. Later, they can shop for the absolute best deal online. This appeared to be the death knell of traditional retail investments like M stock. However, enterprising management teams bolstered their stores’ e-commerce channels. So far, the results are encouraging. Macy’s produced a very solid beat for Q1, delivering earnings per share of 48 cents against a consensus 37 cents. It also rang up $5.54 billion in revenues, up 3.6% from Q1 fiscal 2018. Can Macy’s deliver yet again? Or has M stock overextended itself? 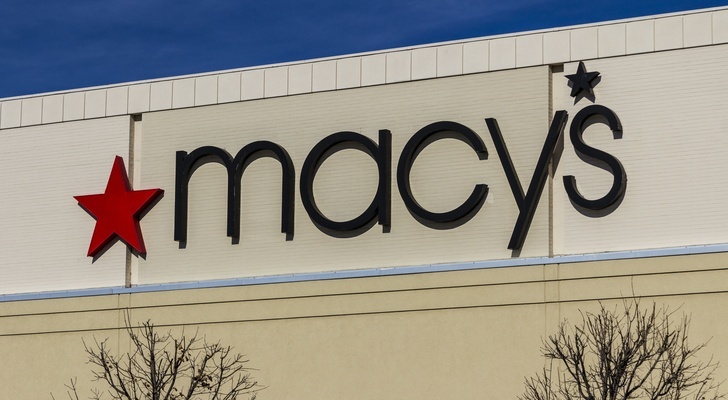 Given credibility concerns about sustainability, Macy’s had to put on a strong performance. This is exactly what it did, although premarket trading indicated that it was still not enough. Heading into Q2, consensus estimates pegged EPS at 51 cents. This was nearer the lower end of individual forecasts, which ranged from 45 cents to 59 cents. Actuals came in at 70 cents, a 37.2% positive surprise. This was a significant improvement over the year-ago quarter, where Macy’s delivered an EPS of 48 cents. On the revenue front, the retailer also beat consensus targets, albeit slightly. Against a forecast of $5.55 billion, Macy’s rang up $5.57 billion. However, in Q2 fiscal 2018, they registered nearly $5.64 billion in sales, or a 1.1% year-over-year decrease. On a brighter note, same-store sales increased 0.5%. This was a sharp contrast to expectations that called for a 0.9% decline. Moreover, management stated that their three divisions — Macy’s, Bloomingdale’s and Bluemercury – produced solid performances. Adding to the optimism, management upgraded their full-year forecast. They now anticipate EPS to come in between $3.95 to $4.15, which is 20 cents higher than the previous forecast. Also, they’re targeting same-store sales to grow as much as 2.5%. This compares very favorably to growth between 1% and 2%. Also, the Commerce Department just reported positive data, indicating that retail sales increased much higher than expected. Helping boost the overall figure was auto sales and clothing. That said, investors did not care for the slow growth. Again, while same-store sales showed an increase versus an expected decrease, we aren’t talking decisively strong numbers. The markets are clearly in a “show me, not tell me” mode. M stock fell more than 5% during premarket trading. I can certainly understand the temptation to jump onboard shares of Macy’s due to the technical weakness. Overall, management has fought back with undeniable vigor and achieved significant progress. Still, the old headwinds remain. While different sources have varying motivations for painting a certain picture about retail, I simply look at the money. If brick-and-mortar retailers, as a whole, are improving substantively, then their landlords should likewise perform well. Unfortunately, that’s not what we’re seeing. I don’t mean to toot my own horn. However, I can’t help noticing that in my article, “4 Retail REITs That Must Face the Music,” half of the retail REITs I warned against have seriously floundered. Pennsylvania REIT (NYSE:PEI) is down nearly 21% since the publication date, while CBL and Associates (NYSE:CBL) is down 41%. Of the remaining two companies, Regency Realty (NYSE:REG) hasn’t moved since I discussed it, while Seritage Growth Properties (NYSE:SRG) has only recently gained 21%. It’s not exactly what I’d call a confident recovery. I appreciate what M stock has done. However, I think it’s a little bit overextended now. Article printed from InvestorPlace Media, https://investorplace.com/2018/08/macys-thwacks-the-earnings-print-but-still-gets-beat-down/.